Indie Lincs Film Festival is an international independent film festival in Lincoln. 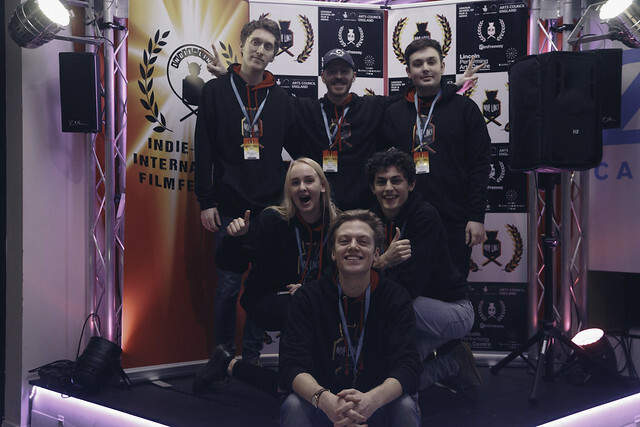 Dr Mikey Murray, Lecturer in Film Production at the University of Lincoln, runs the festival with the help of a team of university of Lincoln students! This year it took place from 17th-18th March in the Lincoln Performing Arts Centre, with an opening night on 16th March in the Stephan Langton building. “The 2nd annual Indie-Lincs International Film Festival 2017 was an amazing 3-day event this year. Our Thursday opening event showcased the best talent from Lincoln School of Film and Media with six short film screenings that involved collaborations between nine different members of staff and dozens of LSFM students. The festival continued over the weekend with screenings and Q&As with no less than 26 filmmakers over the course of the festival who had travelled to the festival to talk about their films. “Friday’s highlights included a Q&A with Belgian filmmaker Laurent Micheli who had travelled in from Brussels to present his film Even Lovers Get the Blues which proved to be an audience favourite and went on to win the festival’s most coveted Angry Imp award for Most Challenging Film. Saturday was the busiest day of the festival and included a Q&A with BAFTA winning Curzon London’s manager Ally Clow, who talked candidly about UK independent cinema from the perspective of the exhibitor. We also had a ‘big-screen’ skype interview with German filmmaker, Ed Ehrenberg who openly discussed the trials and tribulations of making his war film, Hear the Silence, for as little as 40,000 euros. The Thespian IMP for Best Actor/Ensemble – The cast of MAD! Baby IMP award for Best Student Short – Freeze! Well done to all those who won awards and screened their films, they were a great success. And an even bigger well done to Mike Murray and the Indie Lincs team, we can’t wait for next year! This is the University Music Department’s first concert in the LPAC! Staff and students from across the University sing in the choir, along with other members of the community. There will also be solo performances by students from The Lincoln School of Fine & Performing Arts and pieces by the University’s new Chamber Orchestra (comprised of students and staff from the Music Department).